The geometric design of the Berlin 4 Level 59" Shelving Unit was created to easily blend into any living space or home office. Beautifully crafted of honeycomb inlay framed with chipboard and encased in a medium-density fiberboard shell for increased strength with less weight, this multi-purpose piece can store much more than just books. 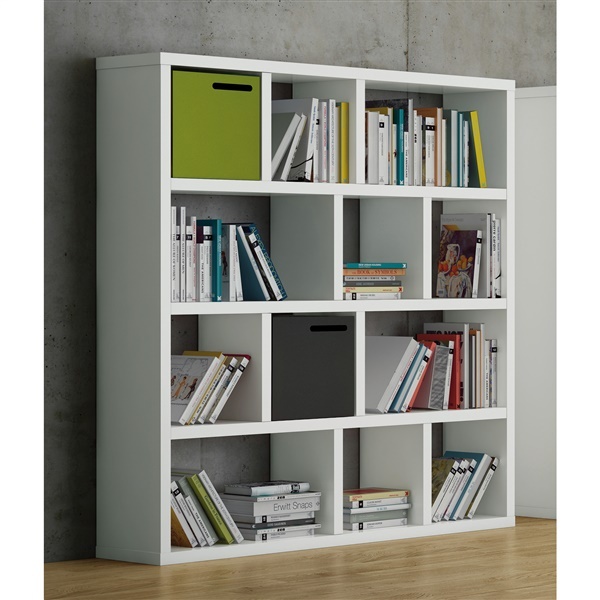 When combined with the optional Berlin Box, this shelf can bring a splash of color to enhance any room.